A Mexican national would have had to enter the United States illegally to stand trial on a Blaine County felony domestic battery charge on Tuesday. That was the situation when 28-year-old Pedro Paredes-Gutierrez was a no-show for a jury trial scheduled in 5th District Court. But he wasn't expected anyway, the court having been informed a few weeks ago that Paredes-Gutierrez had been deported to Mexico. Judge Robert J. Elgee issued an arrest warrant anyway and Deputy Prosecuting Attorney Matt Fredback said the charge against Paredes-Gutierrez will not be dismissed regardless of his whereabouts. "At this point, the case will proceed until the defendant is brought before the court," Fredback said. In an e-mail to the Idaho Mountain Express, Prosecuting Attorney Jim Thomas stated that the arrest warrant will be entered into a nationwide police database but did not indicate whether he would attempt to have it served in Mexico. Paredes-Gutierrez might have good reason for coming back to Blaine County. According to court records, he leaves a wife and two young children here and owns a home in Bellevue. Records show that he has lived in Blaine County since at least 2002, having worked most recently as a concrete construction supervisor. His problems with the law started on June 26 when the Bellevue Marshal's Office investigated a disturbance at the Paredes-Gutierrez home on Seventh Street. Bellevue Deputy David Aslett alleged in a probable-cause affidavit that Paredes-Gutierrez slammed his wife's head into a door during a domestic dispute. Aslett described the woman's injuries as a "large lump on the left side of her face in the temple and eye area." Paredes-Gutierrez was arrested and charged with a felony for allegedly inflicting "traumatic injury." When the federal Immigration and Customs Enforcement agency was notified by the Blaine County Sheriff's Office that Paredes-Gutierrez was in custody, it issued an immigration detainer alleging that he was in the United States illegally. 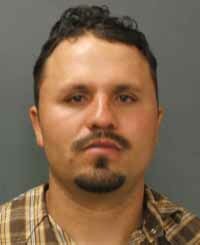 Paredes-Gutierrez remained incarcerated in the Blaine County jail until he posted $2,500 bond on Aug. 16. But because of the detainer, he was not released but was instead turned over to ICE. Rupert attorney Robert Nielsen, who was hired to represent Paredes-Gutierrez, informed the court on Nov. 1 that his client was being held in a "federal facility in Utah" and he was not sure how to get Paredes-Gutierrez back to Blaine County for court proceedings. On Nov. 22, Nielsen informed the court that an immigration hearing was held on Nov. 17 and his client was deported.